On October 27, join Mexic-Arte Museum in the storied tradition of Día de los Muertos in Austin. 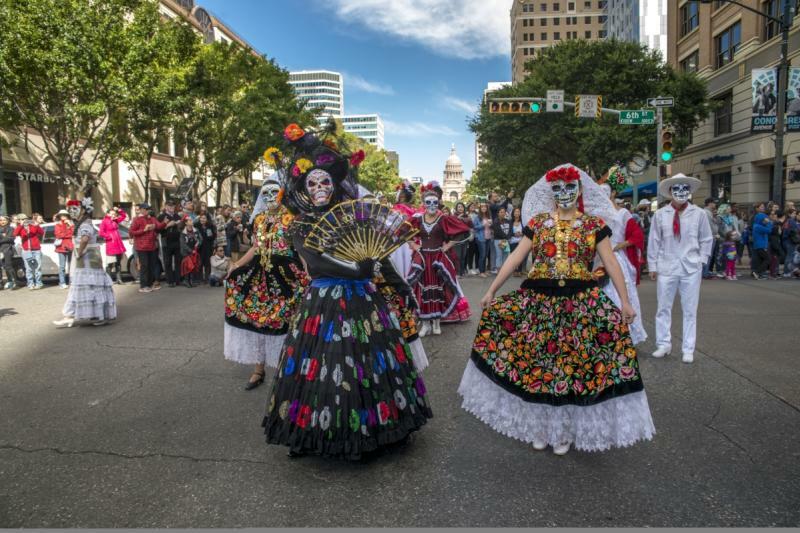 During Viva la Vida Festival & Parade, the city&apos;s largest and longest-running Día de los Muertos event, visitors will experience a street festival and a parade down the iconic Congress Avenue, bringing together a vibrant and varied mix of traditional, contemporary and weird Austin. Learn more about how to experience this traditional fall celebration in Austin and plan your trip today. A common misconception is that Día de los Muertos (Day of the Dead) is a Mexican version of Halloween. In reality, Day of the Dead is a storied Latin American holiday that honors the dead with festivals and lively celebrations. Originating with the indigenous culture of Mexico, the holiday dates back around 3,000 years. Although most prominently associated with Mexico, Día de los Muertos is a historically rich tradition observed throughout Latin America. The holiday integrates pre-Columbian and Catholic custom and is most often celebrated on November 1 and 2 (dates vary by region and may be longer) in connection with the Catholic Holy Days of All Saints’ Day and All Souls’ Day. It is a time when friends and family gather to honor and remember loved ones – not through mourning, but through lively festivities. Día de los Muertos is rooted in pre-Columbian worldviews where death is not deemed as an end, but a transformation or continuation of life. Loved ones are commemorated through altars decorated with sugar skulls, flowers, photographs, favorite foods and memorabilia of the deceased. Family and friends share stories and memories, sing songs, and play music. 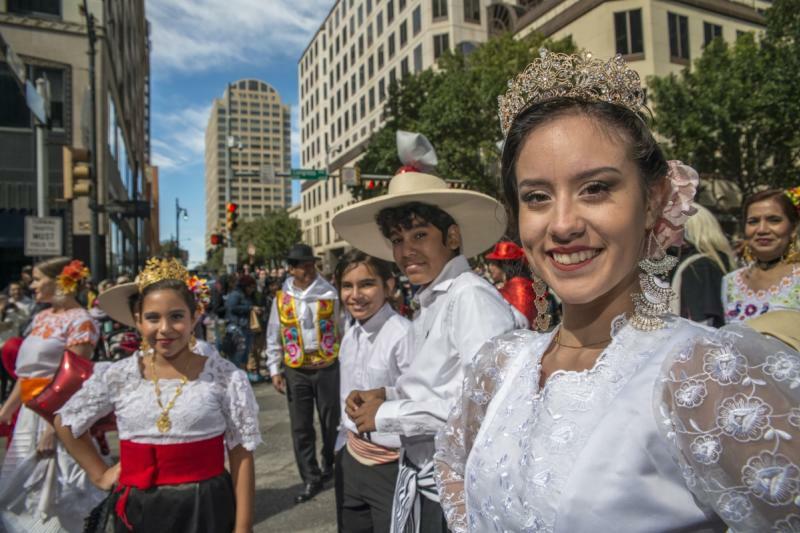 Now entering its 35th year in Austin, the Viva la Vida celebration will be held on October 27, 2018 and features a grand procession and street festival in downtown Austin. The festivities kick off at noon with a parade traveling west on Sixth Street and culminating on the festival grounds at Fourth Street and Congress Avenue. Expect costumes, props, live music, dancers and floats, all marching down historic Sixth Street. The festival features an Education Pavilion with hands-on art activities and artist demos as well as a celebration with traditional foods, local artist and retail booths, a low-rider exhibition, live music and performances throughout the day. Find more information about Viva la Vida here, and start planning your Día de los Muertos celebration in Austin today. Photos of Viva la Vida Parade, credit Chris Caselli. Clarissa is the Heritage & Diversity Marketing Specialist for Visit Austin, and promotes Austin’s diversity and culture through marketing and education efforts. Her hobbies include: finding the best Happy Hour specials, flexing, perfecting her makeup skills, visiting local breweries, thrifting and hosting potlucks.